Palestinian woman and her child crossing an Israeli checkpoint. What I’m about to write will not come easily for me. I used to be one of those people who took issue with the label of apartheid as applied to Israel. I was one of those people who could be counted on to argue that, while the country’s settlement and occupation policies were anti-democratic and brutal and slow-dose suicidal, the word apartheid did not apply. I’m not one of those people any more. Not after the last few weeks. Not after terrorists firebombed a West Bank Palestinian home, annihilating a family, murdering an 18-month-old boy and his father, burning his mother over 90 percent of her body — only to have Israel’s government rule the family ineligible for the financial support and compensation automatically granted Israeli victims of terrorism, settlers included. Just one week later, pro-settlement Jews hurled rocks, furniture, and bottles of urine at Israeli soldiers and police at a West Bank settlement, and in response, Benjamin Netanyahu immediately rewarded the Jewish stone-throwers with a pledge to build hundreds of new settlement homes. This is what has become of the rule of law. Two sets of books. One for Us, and one to throw at Them. Apartheid. We are what we have created. We are what we do, and the injury we do in a thousand ways to millions of others. We are what we turn a blind eye to. 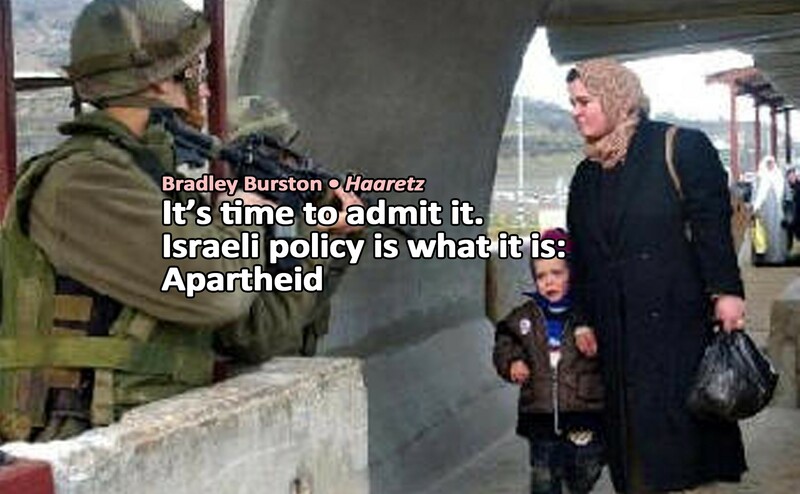 Our Israel is what it has become: Apartheid. There was a time when I drew a distinction between Benjamin Netanyahu’s policies and this country I have loved so long. No more. Every single day we wake to yet another outrage. I used to be a person who wanted to believe that there were moral and democratic limits — or, failing that, pragmatic constraints — to how low the prime minister was willing to go, how far he was willing to bend to the proud proponents of apartheid, in order to bolster his power. Not any more. Not after Danny Danon. Not when the prime minister’s choice to represent all of us, all of Israel at the United Nations, is a man who proposed legislation to annex the West Bank, effectively creating Bantustans for Palestinians who would live there stateless, deprived of basic human rights. The man who will represent all of us at the United Nations is the same politician who proposed legislation aimed at crippling left-leaning NGOs which come to the aid of Palestinian civilians and oppose the institution of occupation, while giving the government a green light to keep financially supporting right-wing NGOs suspected of channeling funds to support violence by pro-settlement Jews. Years ago, in apartheid South Africa, Jews who loved their country and hated its policies, took courageous roles in defeating with non-violence a regime of racism and denial of human rights. May we in Israel follow their example.